Resources for Greek students at all levels. 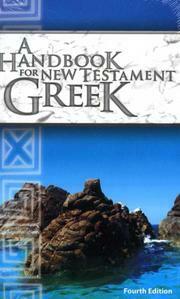 A Handbook for New Testament Greek: Forms and Syntax by Bob Jones University Greek faculty. The Greek Handbook covers basic Greek grammar, syntax and vocabulary for four semesters of study. The authors of this fourth edition draw on decades of combined experience in teaching Greek at the university level. The material is suitable for suitable for college students or advanced high school students. - Publisher. Greek New Testament, 4th ed. by K. Aland, ed. The UBS4 GNT is available in a number of editions: 9783438051103—Standard Hardback 9783438051134—Hardback with dictionary* Leather bindings of the UBS4 text are also available. *Although the dictionary included in this edition is permitted, the Greek department will not always accept the glosses it provides for translation assignments. Instead, students should refer to Gingrich's Shorter Lexicon. Abridgement, with some revisions of: A Greek-English lexicon of the New Testament and other early Christian literature / Walter Bauer. 2nd ed. / rev. and augm. by F. Wilbur Gingrich and Frederick W. Danker. The primary benefit of these Reader's editions is the footnotes with basic dictionary glosses for less-common terms located at the bottom of each page. This can be immensely helpful, but students need to realize that these helps are off-limits for assignments in beginning and intermediate classes at BJU. Also note that the Zondervan Reader's edition uses a slightly different text than the UBS4 that is the BJU Greek department's standard text. Decker's Koine Greek Reader is not a reader's edition of the NT text, but instead presents graded readings from a variety of sources along with pedagogical helps. 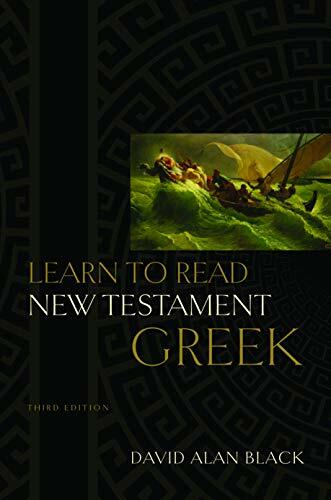 A Reader's Greek New Testament by Richard J. Goodrich and Albert L. Lukaszewski, eds. Based on customer feedback, A Readers Greek New Testament now includes a new Greek font for easier reading along with other features that make this a time-saver for studying the Greek New Testament. Ideal for Greek students and pastors, A Readers Greek New Testament saves time and effort in studying the Greek New Testament. By eliminating the need to look up definitions, the footnotes allow the user to read the Greek text more quickly, focusing on parsing and grammatical issues. This revised edition offers the following features: New Greek font is easier to read; Footnoted definitions of all Greek words occurring 30 times or less; Mini-lexicon of all words occurring more than 30 times; Greek text underlying Todays New International Version; Footnotes offering comparisons with UBS4; 4 pages of full-color maps. - Publisher. 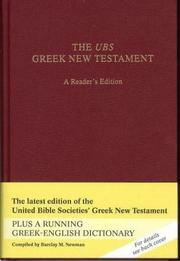 The UBS Greek New Testament: A Reader's Edition by Kurt Aland, Barbara Aland, Barclay Moon Newman, eds. The Reader's Edition combines the Bible text of the latest edition of the UBS4 Greek New Testament, edited by Barbara Aland, et. al., with a running Greek-English Dictionary, compiled by Barclay M. Newman. Features include: Running dictionary providing translations of all vocabulary items occuring 30 times or less in the New Testament at the bottom of each page; Translations given according to context; Definitions of idiomatic word combinations; Grammatical analysis of all difficult verb forms; Reader-friendly layout enabling the reader to transfer easily from text to dictionary and vice versa; An appendix providing translations of all vocabulary items occuring more than 30 times in the New Testament; Maps from the UBS Greek New Testament. - Publisher. Providing graded readings in Koine Greek from the New Testament, Septuagint, Apostolic Fathers, and early creeds, this unique text integrates the full range of materials needed by intermediate Greek students. Its many features include four helpful vocabulary lists, numerous references to other resources, assorted translation helps, a review of basic grammar and syntax, and an introduction to BDAG-the standard Greek lexicon. - Publisher. The resources below provide supplementary help on the basics of Greek grammar and syntax. 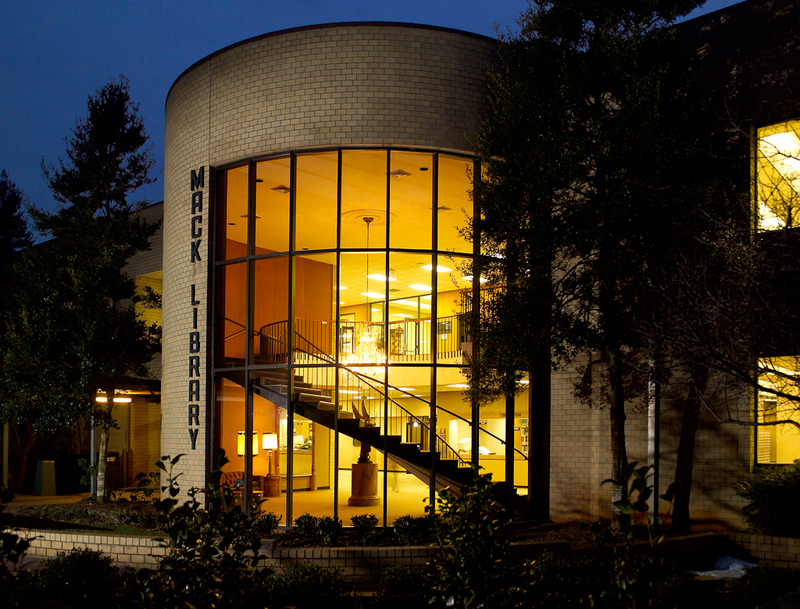 Students in the BJU Greek program may benefit from occasionally consulting these sources, but should use them only as supplements rather than as a substitute for the required texts. These resources may be most beneficial for those pursuing self-study of Koine Greek. Helpful, practical discussion of the use of Greek in homiletics. Some of the material on this page is used with permission from a LibGuide from Tyndale University College & Seminary Library, Toronto, ON, Canada.